On Wednesday 14 August the State Library will host a special Storytime with best-selling children’s author Jeannette Rowe as part of Play Group Victoria’s state-wide library playgroup week. Children and their parents will meet some of Rowe’s favourite book characters and see for the first time the author’s range of interactive iPad apps designed to help children learn through play. Play is a powerful element for fostering early literacy in children and over the past four years the Library has run Storytime and Baby Bounce programs for very young readers and their families. 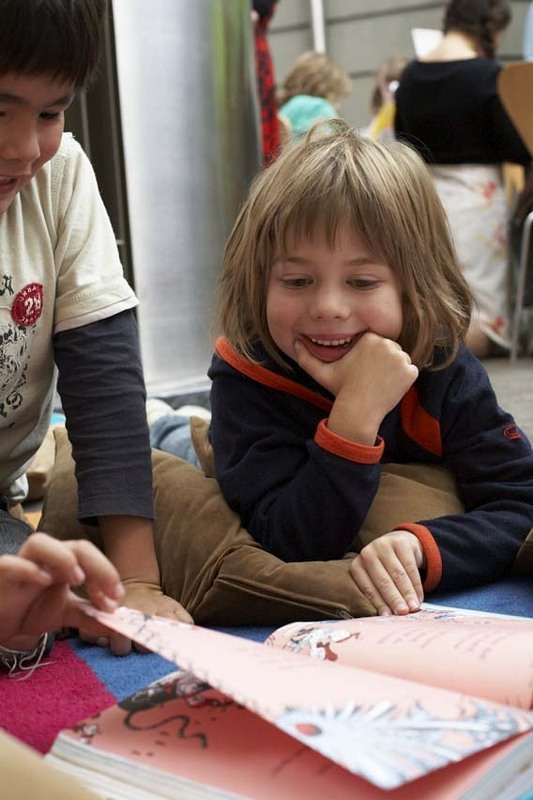 The programs use performance, song and play in combination with reading to create an exciting and interactive storytelling environment for children. Anna Burkey, the State Library’s Reader Development manager, says there is solid research to back this approach to early literacy. ‘There is an abundance of research now linking frequent playful and interactive reading with significant improvements in early literacy.’ You can read more in the full media release here. More information about Library Playgroup Week can be found at www.playgroup.org.au.